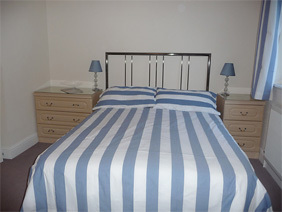 Make our cottage near Padstow your family's holiday home-from-home. Our Harlyn Bay cottage is a self catering holiday let that sleeps families of up to 6 in two double bedrooms and one room with a bunk bed. We have one family bathroom, one en suite and one downstairs cloakroom. 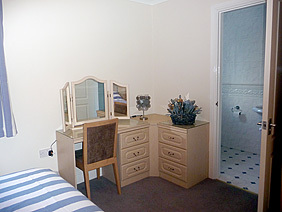 The cottage's master bedroom offers a modern, clean en suite bathroom. 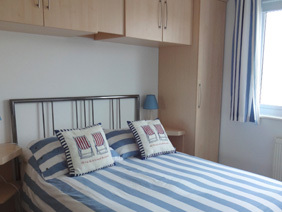 Our second double bedroom has plenty of storage space with fully fitted wardrobes. 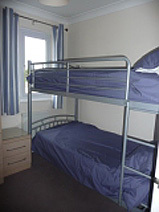 Our third bedroom lets your children (or the young at heart) enjoy sleeping in a bunk bed.